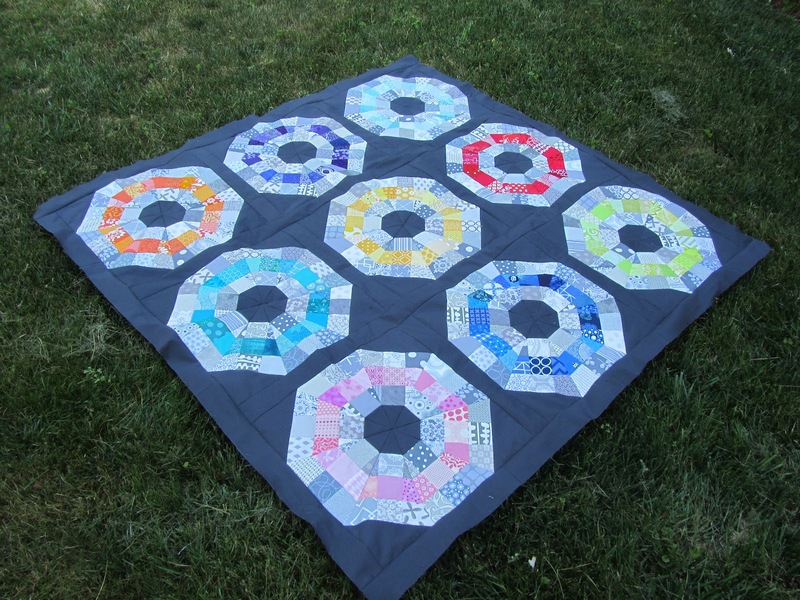 Last night I put the final stitch on my Octagonal Orb quilt top. 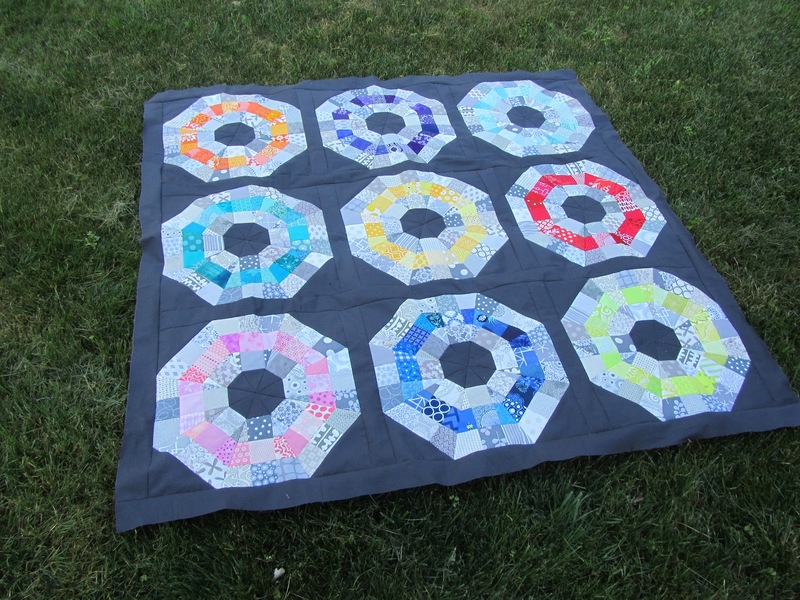 It just might be one of my all time favorite quilts. I feel like claiming A favorite quilt is like picking a favorite child, so I'll just say it's one of my favorites. 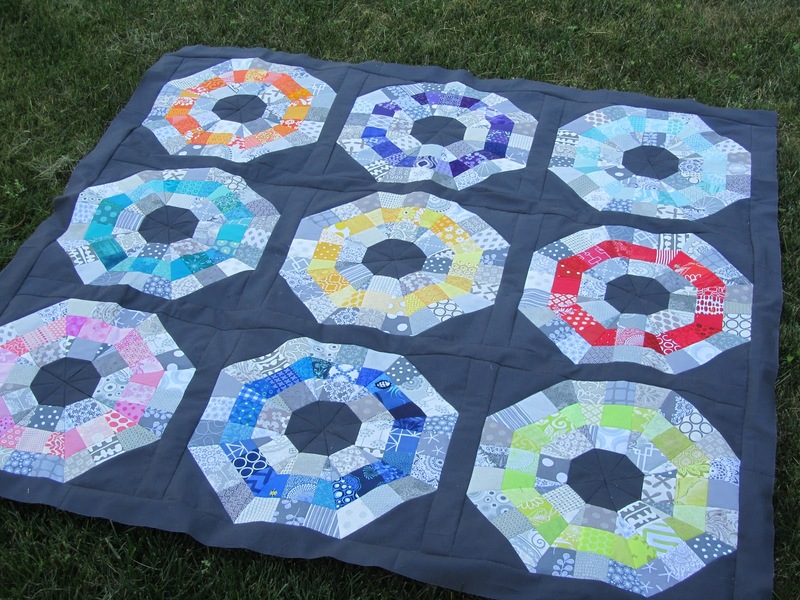 Can you blame me for loving this quilt so much? I had the hardest time getting the colors right in the pictures. The teal in the middle left is darker than it appears and the aqua in the upper right is also darker. I will say, it was pretty hard to get all of the blocks to be the same size. With all of the pieces and the angle of each triangle to form the orb, things shifted quite a bit. I ended up doing what the pattern said and focused on making each block square rather than all of the blocks the same size. As a result, the sashing doesn't quite line up, but because it's all the same color, it's hard to tell. It's going to require some heavy quilting to mask it. Now to finish the quilting before the Quilt Festival in August. I'm still crossing my fingers. I know I'm going to have to head on another business trip this month, so its crunch time.